The Navy has awarded a Houston shipping company a $3.1 million contract to move the stricken guided-missile destroyer USS Fitzgerald (DDG-62) to the Gulf Coast for repairs. “Patriot Shipping, based out of Houston, Texas, has been awarded the contract to move Fitzgerald from Yokosuka, Japan, to Pascagoula, Mississippi where the ship will be repaired by Huntington Ingalls Industries,” read a statement from the service. Last week, the service announced it would repair the destroyer that collided with a merchant ship on June 17 off the coast of Japan at destroyer Ingalls Shipbuilding in Pascagoula, Miss. The incident resulted in the death of seven sailors and hundreds of millions of damage to the ship due to flooding. 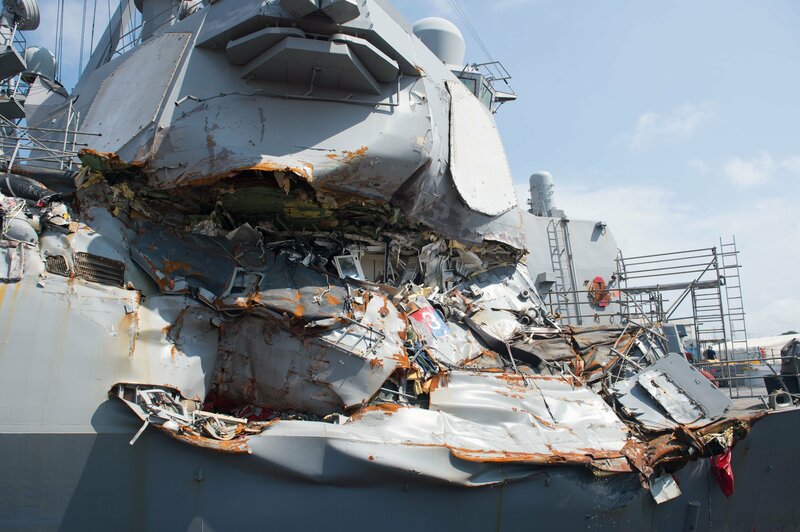 Due to the extent of the damage, the Navy made the determination only an Arleigh Burke-class destroyer builder could fix the damage to Fitzgerald. Estimates from naval experts provided to USNI News indicate the final total of repairs for the destroyer could top $500 million. 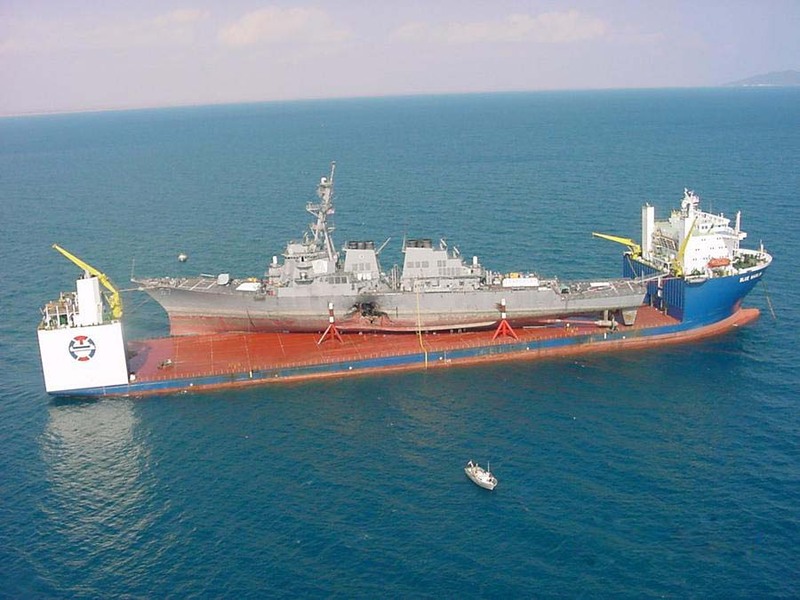 “Only [Ingalls] has the available capacity to restore USS Fitzgerald to full operational status in the shortest period of time with minimal disruption to ongoing repair and new construction work,” the service said last week. The last time the Navy had to move a destroyer a similar distance was in 2000 following the terrorist attack on USS Cole (DDG-67) in Yemen. The Navy paid $4.5 million at the time to hire MV Blue Marlin to move the ship – about twice the current contract amount to move Fitzgerald in 2017 dollars.